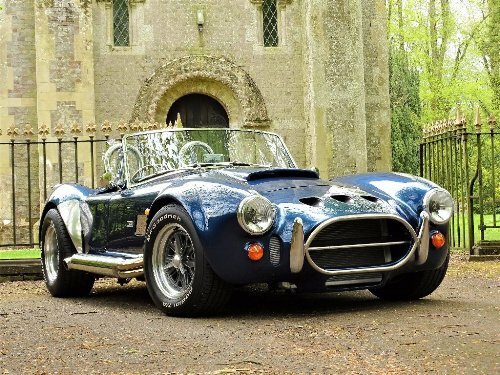 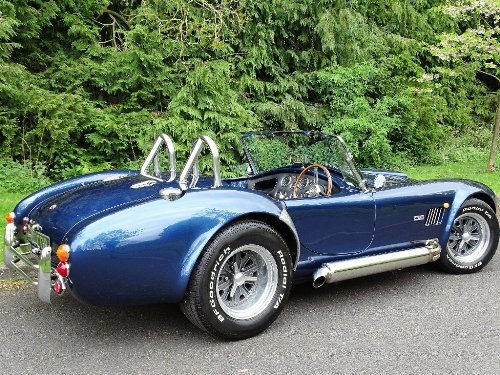 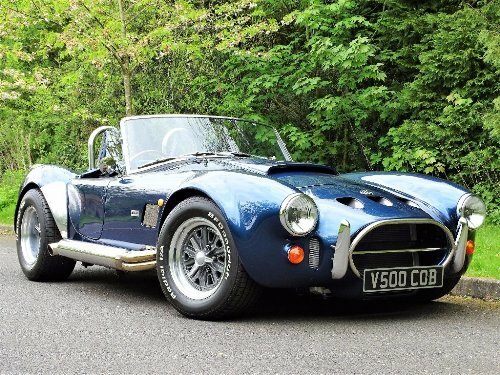 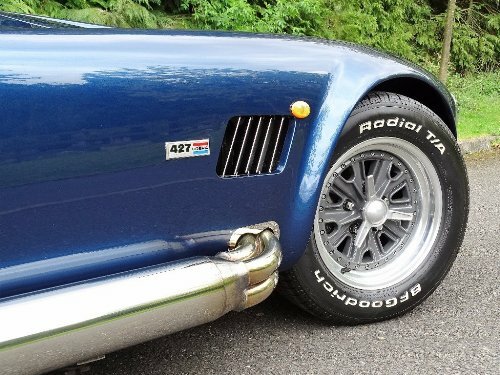 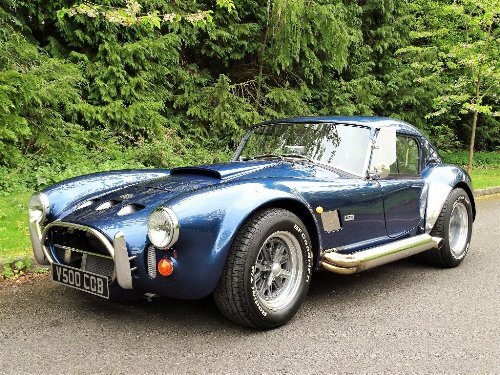 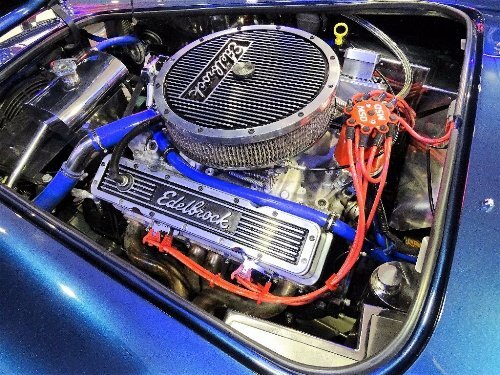 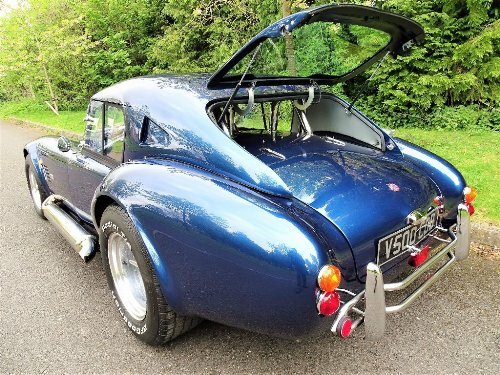 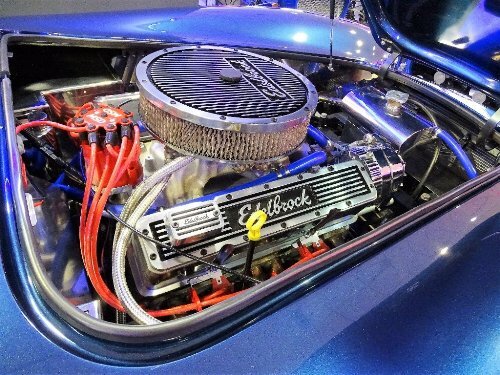 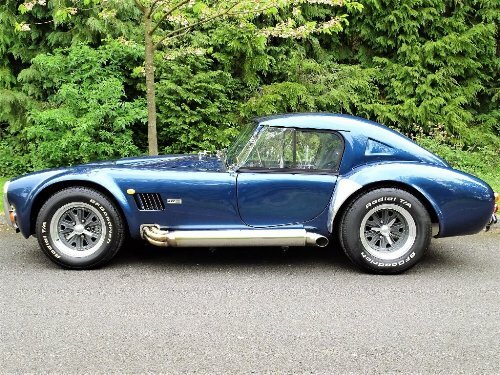 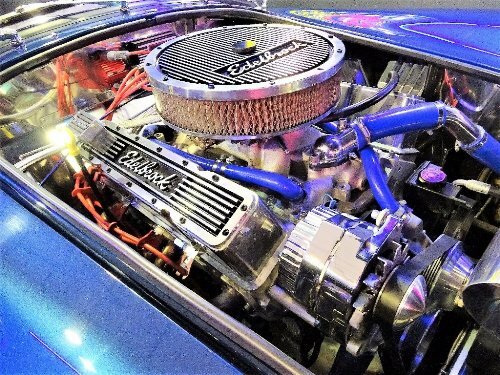 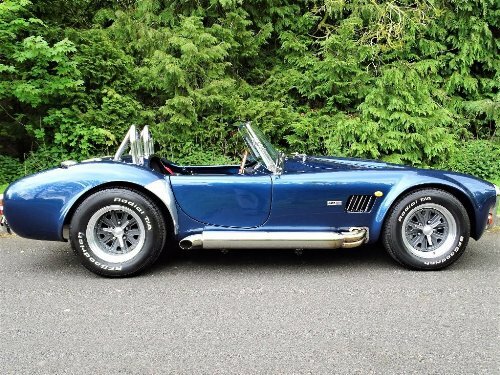 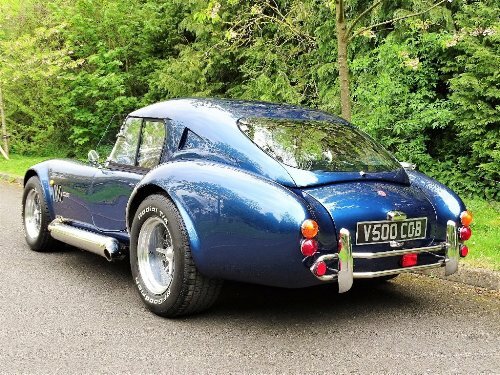 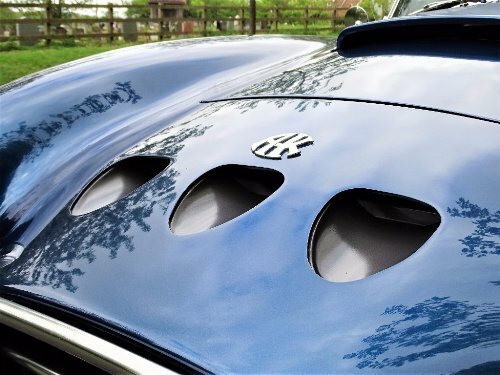 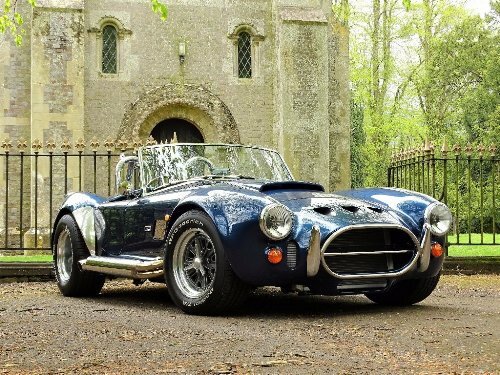 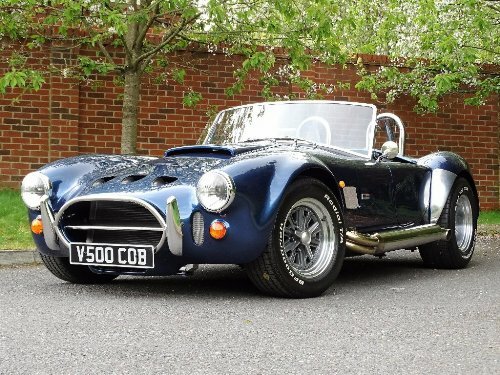 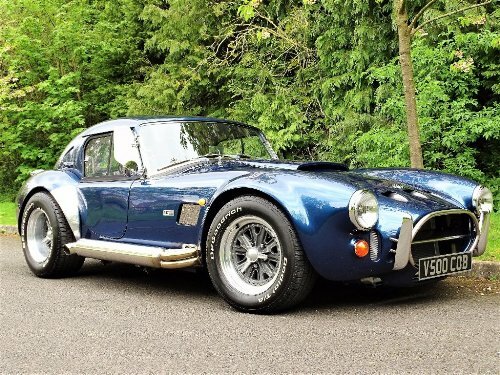 Cobra 6.3 Replica STUNNING SPECIFICATION, LOOK. 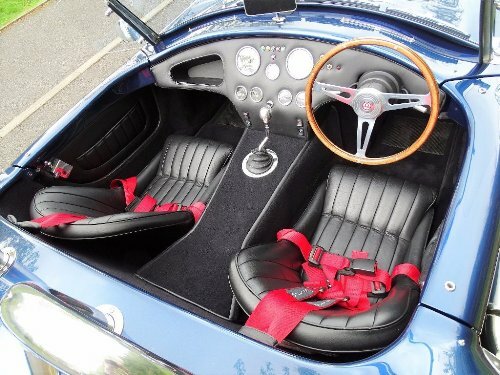 12 MONTHS WARRANTY INCLUDED IN THE PURCHASE PRICE. 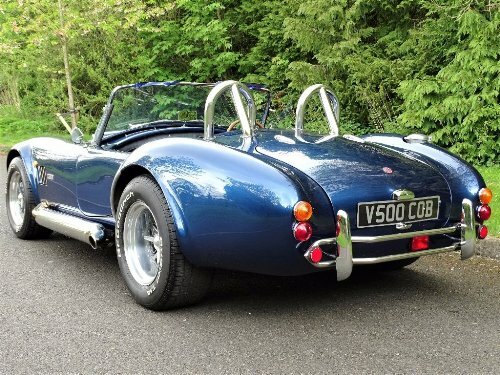 Blue, One of our favourite Cobra's of all times, Factory Built to the highest standards by AK to our unique specification, Please read on to see what a fantastic Cobra this is, Built in 2008 using all of the parts customers like to see on these cars, 6.3 Litre Stroker built by Custom Power, Painted in Enzo Blue metallic with Black Muirhead leather seats, The car has been built to have a more traditional look about it with high profile tyres, These 6.3 Litre Stroker V8 Engines By Custom Power produce Huge amounts of BHP with a fantastic very usable Torque curve, Fitted with MSD Ignition, Alloy Radiator, Big bore 4 into 1 Stainless side pipes, Tremec gearbox, Power steering, Factory Hard top, Twin Roll Hoops, Aston fuel filler, Bolted power Bulge, Turned stainless column stalks, Moto Litre Wood rim steering wheel, Forward cranked gear lever, The specification of this AK Cobra is impressive to say the least, We supplied this car new to the original owner and the car has been kept in the finest condition and still only covered 10,000 Exciting miles, This Cobra will please any upcoming Cobra buyer and the first to see should buy, come and view at our award winning showrooms. 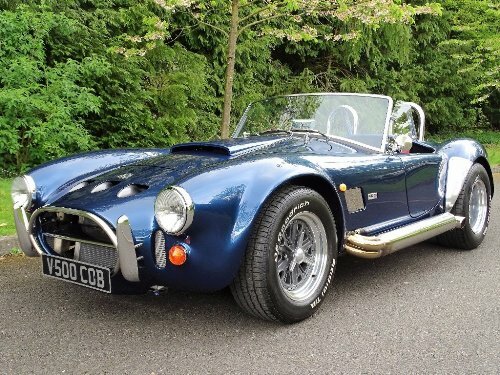 www.sovereigncarsales.co.uk.